This new cardboard display is double sided, allowing for a large capacity of displayed sunglasses. For just $35, this is a great deal! • Sunglasses are NOT Included. 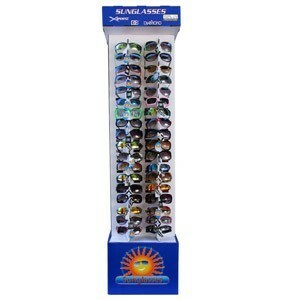 • Attractive Floor Model Sunglass Display. This is an attractive Floor Model. Silver in Color.